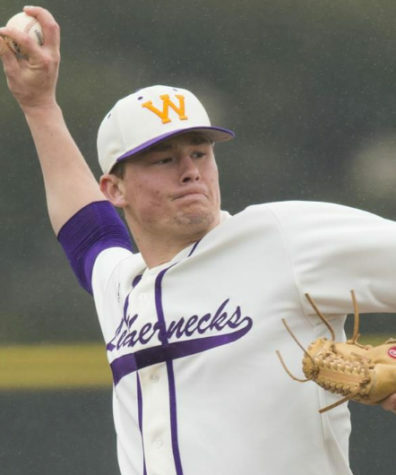 Brandon Gilbeck plays in a home game last season for the Leathernecks. 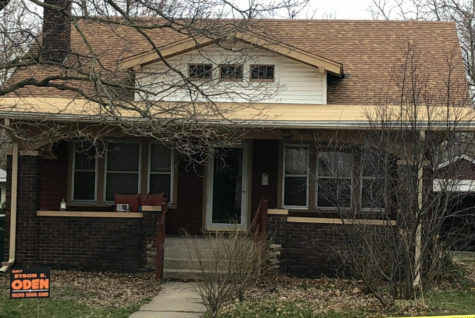 MACOMB, Ill. — The Western Illinois University Leathernecks men’s basketball team faces off this Wednesday against the Stars of Division III, Dominican University. The men of Western Illinois are sitting at .500 this season after starting off the season with a loss to Creighton while scoring a win this past Saturday against the men of North Park University. The basketball team has looked solid this year, with the men winning their regular season game and both exhibition games by at least 25 points (both exhibition games were won by more than 40) and their won loss was only by 11. A strong presence for Western this season is 7-foot center Brandon Gilbeck. Gilbeck pulled in nine rebounds while recording seven blocks against the Blue Jays. While facing North Park, Gilbeck racked up six points, four rebounds and a block on the way to the Leathernecks 84-56 win. He has struggled scoring in the Purple and Gold’s first two contests, only posting eight points in his first two outings, but if the Leatherneck offense can figure out how to find Gilbeck, he will be an offensive weapon that can’t be stopped this season. Another weapon on the court for Western is second year guard Kobe Webster. Leading the team in scoring last season with 446 points and topping the team’s statistical charts with 59 three pointers, Webster is looking to have another productive season, and he’s doing just that. When facing Creighton, Webster recorded a double-double scoring 24 points while also recording 10 rebounds. He struggled to find his groove though as those 24 points came off of a .455 shooting percentage, only making four out of his 12 three-point attempts. Against North Park, Webster had a solid game again. Leading the team once again in scoring, he put up a solid 21 points accompanied by eight rebounds and four assists. Webster and fellow sophomore Isaac Johnson are a scoring dynamic duo out on the court this season. The pair has been the scoring leaders in both games combining for 78 of the Leathernecks’ 151 points this year. The Leathernecks look like they’re going to rely more on their starters this season in big games. Against Creighton in the opening game, bench players for Western only played three players off their bench with those players only totaling 40 minutes. In those 40 minutes the bench accumulated only four points. 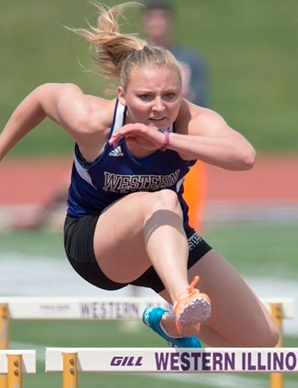 Against a much smaller school, Western saw more players get an opportunity to come off the bench, playing 62 minutes and putting up over four times the points at 18. 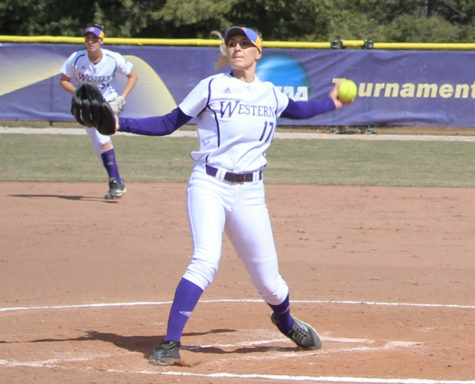 The Leathernecks should see a win on Wednesday against the Division III Dominican. 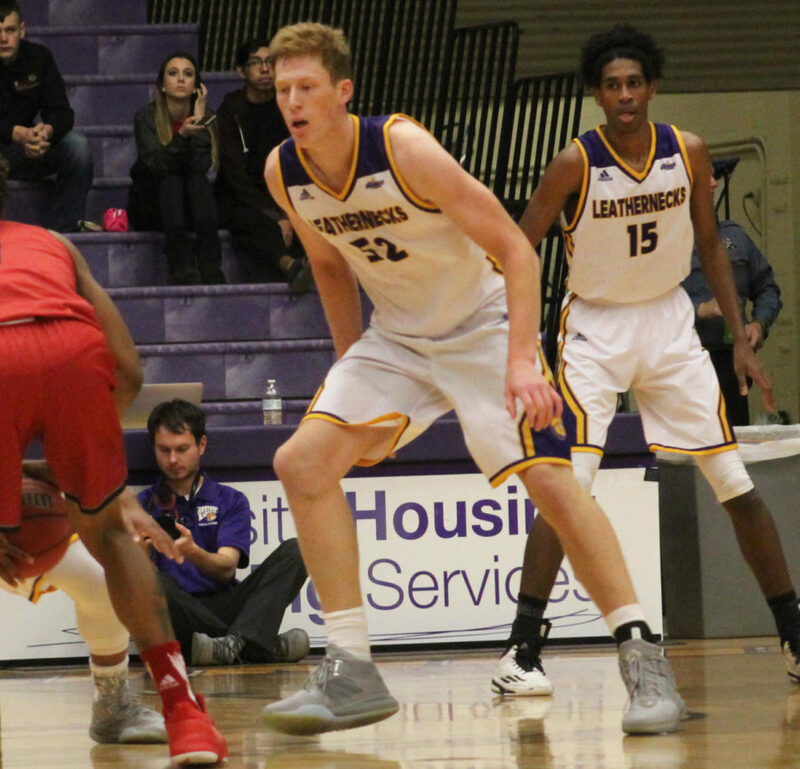 With Dominican’s tallest player at 6-foot-3, the Leathernecks should focus on finding Gilbeck down low. The Wednesday night matchup is set for a 7 p.m. inside Western Hall.